Sometimes you need to have access to a website’s data while offline. Maybe you’d like a backup of your own website but your hosting service doesn’t have an option to do so. It may be the case that you’d like to imitate how a popular website is structured or what their CSS/HTML files look like. 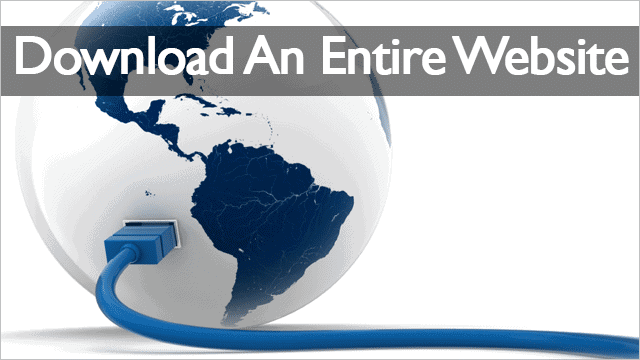 Whatever the case there are a few ways you can download a part of or a complete website for offline access. Some websites are too good to simply linger online that’s why we’ve gathered 5 tools which you can use to easily download any website right to your local PC, similar to our guide about backing up your Twitter account. The programs we mention below can serve this purpose very well. The options are straightforward enough that you can begin downloading an entire website in just a couple of minutes. HTTrack is an extremely popular program for downloading websites. Although the interface isn’t quite modern, it functions very well for its intended purpose. 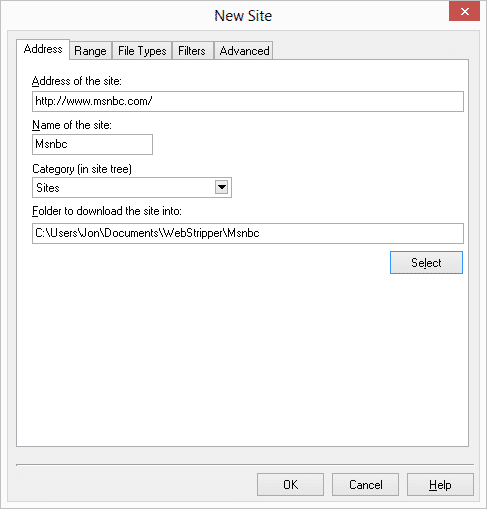 The wizard is easy to use and will follow you through settings that define where the website should be saved and some specifics like what files should be avoided in the download. For example, exclude whole links from the site if you have no reason to extract those portions. 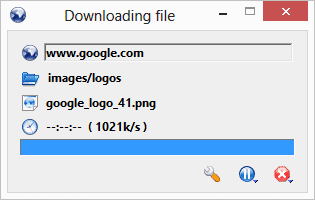 If a particular file is taking too long to download, you can easily skip it or cancel the process midway. Getleft has a new, modern feel to its interface. 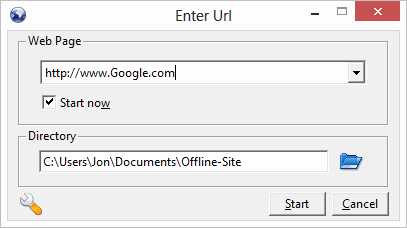 Upon launch, press “Ctrl + U” to quickly get started by entering an URL and save directory. Before the download begins, you’ll be asked which files should be downloaded. We are using Google as our example, so these pages should look familiar. Every page that’s included in the download will be extracted, which means every file from those particular pages will be downloaded. 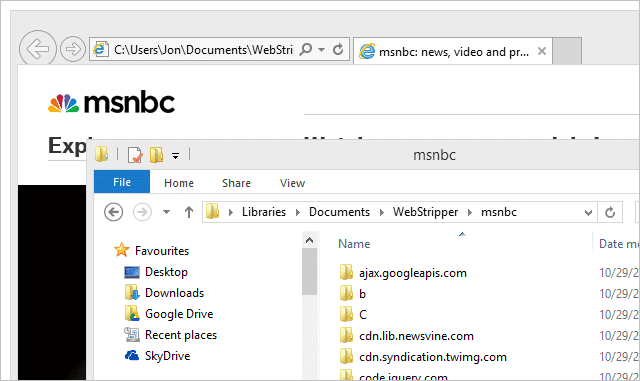 When complete, you can browse the website offline by opening the main index file. PageNest reminds me a bit of both HTTrack and Getleft combined. Enter the address of the website to download in the “Address” tab from the main page upon program launch. You’ll be asked for the essentials like the name of the site and where it should be saved. 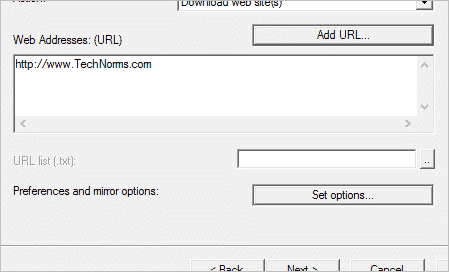 Select a few options in the “Range” tab – choose whether to download pages that are not under the selected domain, among other settings and then start the download. Use predefined passwords for authentication and create rules with Cyotek WebCopy to download a full site for offline viewing. Start a copy of the “F5” key and watch as the files are downloaded. The total size of the currently downloaded files shows in the bottom right corner of the window. You can even create a web diagram for a visual representation of the files. Download these clumps of data in XML format, extracting them with something like 7-Zip. Among the listed programs, I’ll say with confidence you’ll be able to download any website you want. Whether authentication is required or you only want select pages to be extracted, one of the above freeware programs will surely do. 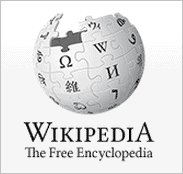 The Wikipedia is a great resource for offline access. Studying about a topic or just want to read up on a specific topic? 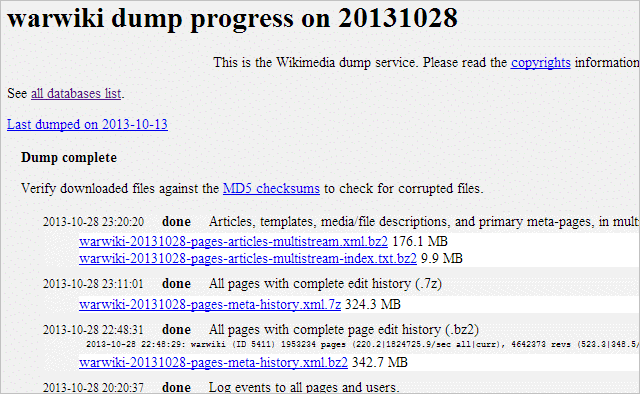 Download the data from the Wikipedia dumps and access it offline anytime you want. 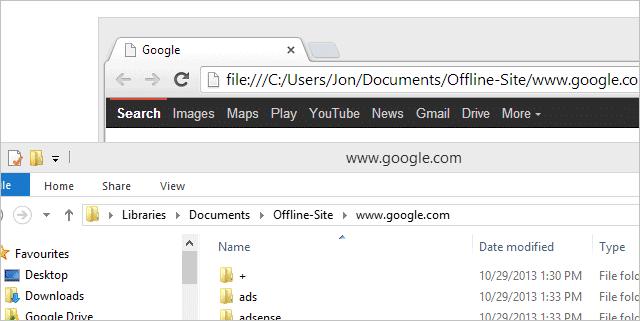 If you like the idea of accessing websites offline you may like to read about using Gmail without an internet connection with the Gmail Offline Extension.